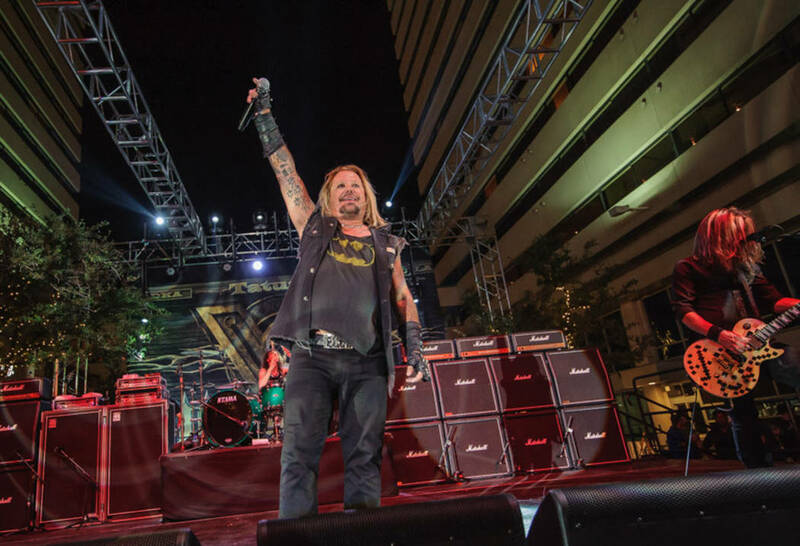 Motley Crue lead singer Vince Neil performs during a concert at The Joint inside the Hard Rock hotel-casino in Las Vegas on Friday, Feb. 3, 2012. The concert kicks off a run of performances for the 80s hit making heavy metal band at The Joint that is scheduled to run through Feb. 19. 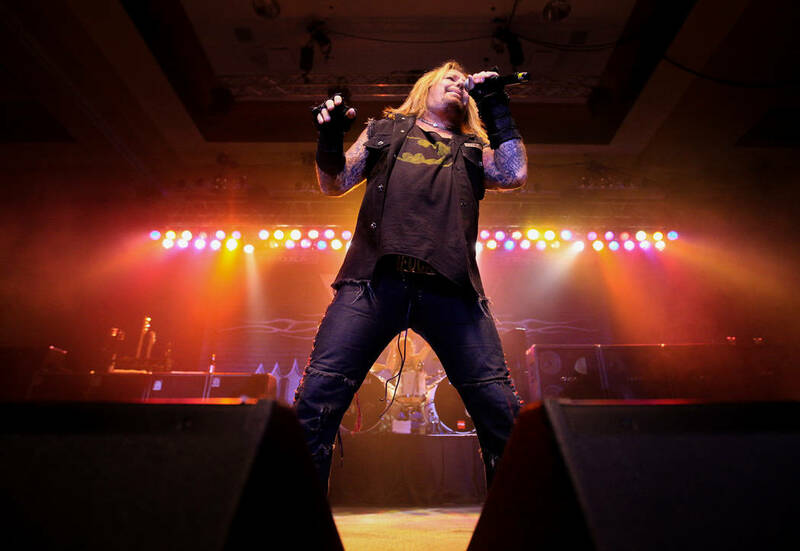 JIM MILLER/LAS VEGAS REVIEW-JOURNAL Motley Crue lead singer Vince Neil performs at The Joint inside the Hard Rock hotel-casino on Friday, Feb. 3, 2012. 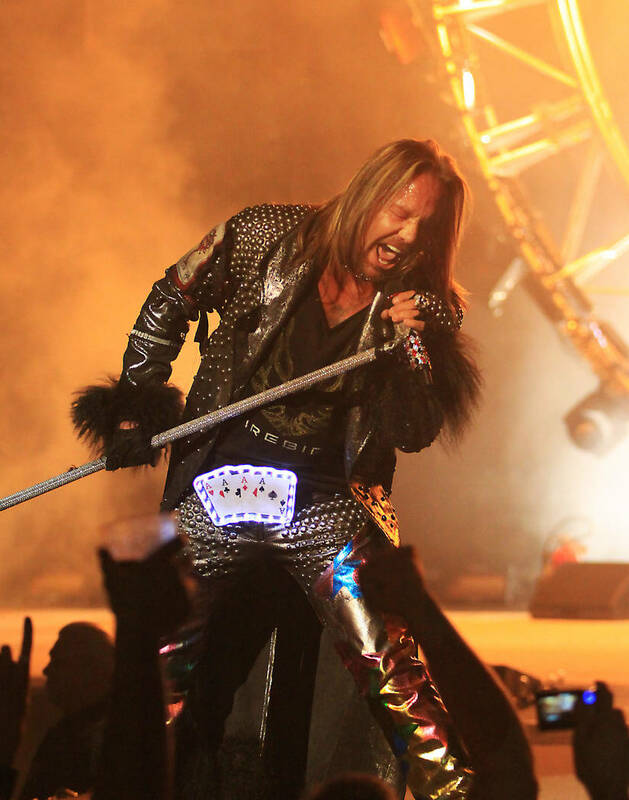 The show opened the Motley Crue residency at the Joint inside the Hard Rock hotel-casino that will run through February 19, 2012. Actually, they might be the last. But that song is a single from the soundtrack of the upcoming Netflix biopic “The Dirt,” based on the book of the same title, which chronicles the band’s wild ride to rock stardom. 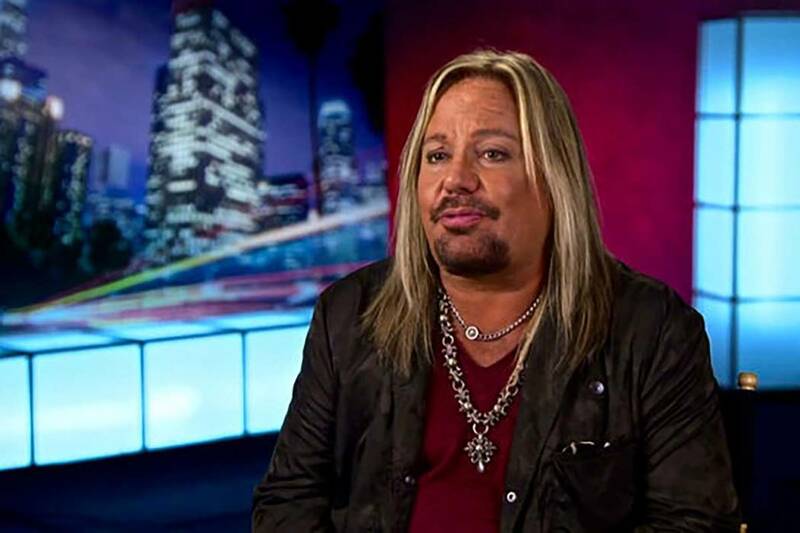 Vince Neil, who splits time between Las Vegas and Nashville, sang the four new songs over the band’s tracks recorded at Tommy Lee’s home in L.A. The reaction was beyond genius. The L.A. premiere was Monday night, and the film streams on Netflix beginning Friday. Wouldn’t that be, I don’t know … excessive? 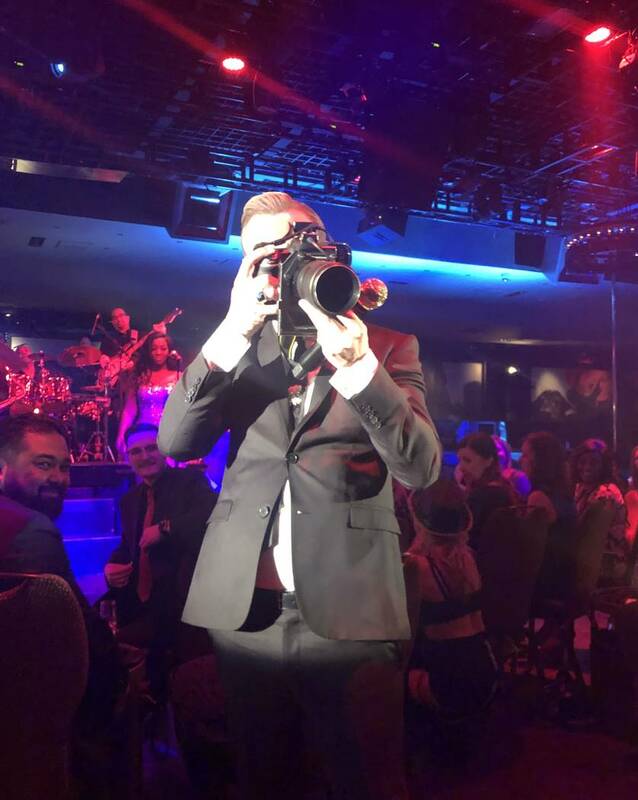 There was a reason Palms General Manager Jon Gray (hey, his birthday was Monday) dined with Zac Brown at Scotch 80 Prime a few weeks ago — Zac Brown Band opens the Kaos Pool Concert Series on April 7. 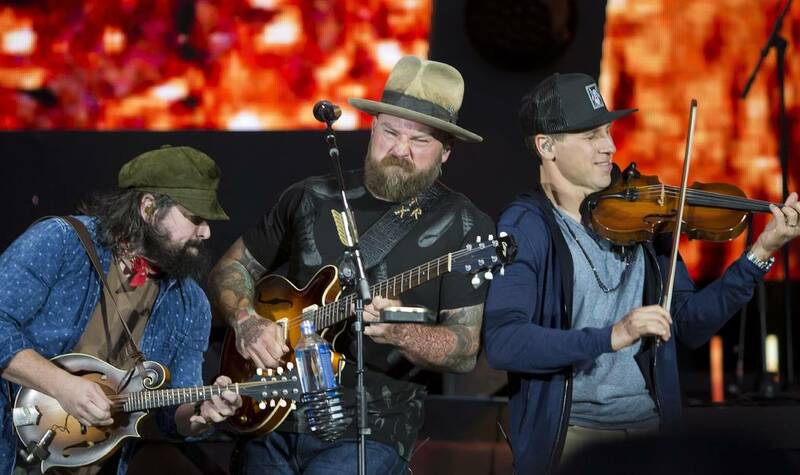 Zac Brown Band is one of these bands that, when you refer to it as a country band, hard-core country music fans shoot back, “They are not country!” They are simply versatile rockers with some country flair who are musically superior, led by Brown himself. He showed his range in November 2015 when he sang “The Way You Look Tonight” during the taping of CBS’s “Sinatra 100: An All-Star Grammy Concert” at Encore Theater (this is what you remember when you go to shows every night). The Zac Brown concert is part of the Kaos Grand Opening Weekend celebration. Alicia Keys, Cardi B, Travis Scott, G-EAZY, J-Balvin, Marshmello, Skrillex and Kaskade are among the stars performing opening weekend at the new club and also at Pearl Concert Theater. The threat of eviction has been removed at Beauty Bar, its owner, Roxie Amoroso has confirmed. On March 1, Beauty Bar was issued a three-day order to vacate by its landlord, T-Breo II LLC, which is a subsidiary of Tamares Real Estate, which also owns the Plaza. The document indicated T-Breo was acting because of “multiple indecent and disorderly incidents,” but never did act on its eviction notice. Amoroso reports that the club is in full compliance of its lease, is current with rent payment and plans to finish out the term of that lease, which runs from April 2018 through July 2023. Amoroso says the incidents cited in the lease occurred before Amoroso seized full control of the club. She now has now enlisted a new management team, which she brought in about two weeks ago to run the place. Beauty Bar opened in 2005 and is one of the cornerstones of the Fremont East entertainment district. Jerry Seinfeld, a top draw at the Colosseum at Caesars Palace, has locked in two additional weekends this year. He’s back Sept. 27-28 and Nov. 15-16. A plug here for Seinfeld’s terrific Netflix series, “Comedians In Cars Getting Coffee.” My top three episodes: 1) Jerry Lewis; 2) Norm Macdonald. 3) Michael Richards. Kelly Clinton Holmes, Elisa Fiorillo and Frankie Scinta are the latest headliners at Pegasus Theater at Alexis Park. Holmes and Fiorillo co-headline “First Ladies of Las Vegas Entertainment” beginning April 12. 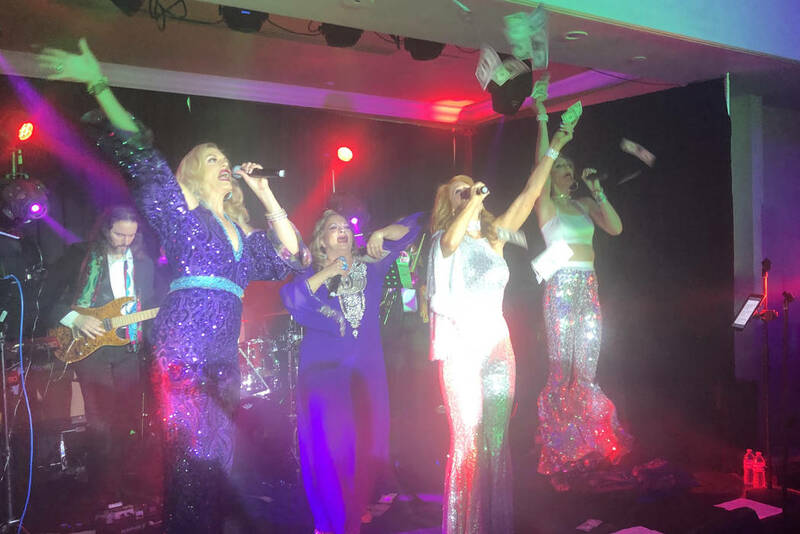 Clinton is a long-running headliner in Vegas, including her time as entertainment director at Stirling Club at Turnberry Place and her weekly shows at Bootlegger Bistro on Monday sand Tuscany Suites on Wednesdays. Fiorillo spent five years touring with Prince and the New Generation — ending in 2009 — and was friends with artist for more than 25 years. On April 13, Scinta hosts a night of storytelling and Q&A titled, “One On One,” where he recounts his life “from giddy-up to whoa” and then invites questions from the audience. Scinta will play “an instrument or two” and will have his music director with him. But even so, he is quick to emphasize this is not a true “show,” as he continues to headline in “The Showman” at South Point Showroom. Both limited-engagement performances are to run for a month ending May 4. 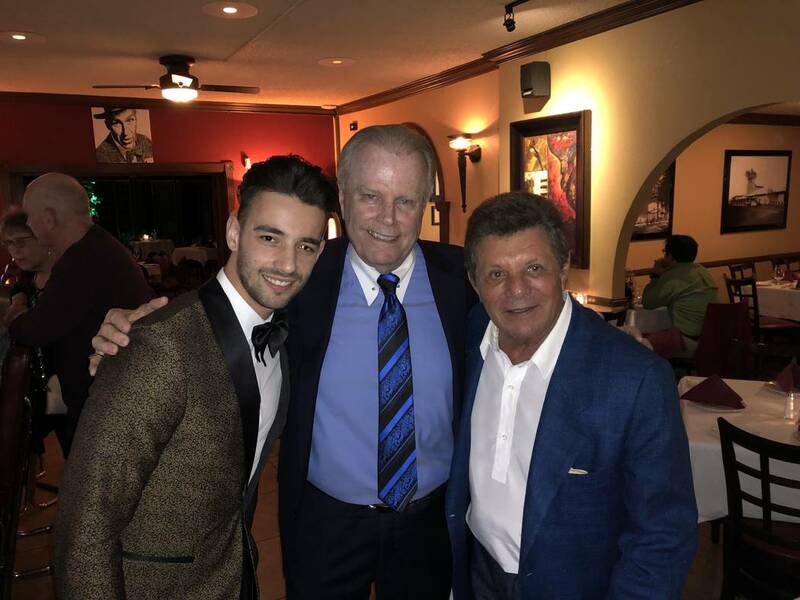 Frankie Avalon, an original teen idol in the 1950s and early ’60s, visited one of his favorite Vegas haunts, the Italian American Club, on Sunday night. He joined venerable showman Jerry Tiffe, the man I refer to as The Last Lounge Singer, onstage and also invited up promising crooner Michael Ross Nugent. On Friday, Mark Preston, late of famed vocal group the Letterman, headliners the IAC Showroom. Preston also opened for Phyllis Diller in her days in Las Vegas. Show time is 8 p.m. and tickets are $25, a mere pittance. Donny Osmond is the current leader in this entry. From Friday, he learned that a superhero duo had been based on his family. Well, you learn something new every day. Just found out @DCComics' #WonderTwin heroes were "inspired by the popularity of sibling act #DonnyandMarie Osmond." “Well, you learn something new every day. Just found out @DCComics’ #WonderTwin heroes were “inspired by the popularity of sibling act #DonnyandMarie Osmond.” Not sure the sourcing here, but we’ll go with it. Frequent Strip headliner and “Let’s Make a Deal” host Wayne Brady was a late scratch from Saturday’s Keep Memory Alive Power of Love show. Brady reportedly was unable to attend because of a last-minute responsibility, but was very apologetic to have missed the event. Lionel Richie, Snoop Dogg, Ne-Yo, Bernie Williams, Miguel and Leona Lewis starred in a memorably entertaining show. And oh yeah, I’m looking forward to Brady’s next appearance here, too.